Information for faculty, staff, students, and visitors requiring access to animal facilities on the UT-Austin campus. Frequently asked questions regarding sending animals from UT Austin to other institutions. “Laboratory Self-Evaluation Checklists” are tools to help laboratories prepare for semi-annual evaluations.  Contact information for concerns regarding the care and treatment of animals used in research, teaching, or testing at The University of Texas at Austin. This document describes procedures that investigators must follow when transporting live, vertebrate research animals in a private car or truck. Information for identifying new cages. Information to be used when planning and performing euthanasia of vertebrate animals used for biomedical research or teaching at The University of Texas at Austin. This SOP applies to the husbandry of animal studies that have received IACUC approval for special food or water arrangements, such as special diets, caloric restriction, water control, etc. Information to be used when planning and performing procedures utilizing the use of non-human primates to be used for research, teaching, or other purposes at The University of Texas at Austin. Frequently asked questions regarding importing special rodent strains to UT-Austin from a noncommercial source. Frequently asked questions regarding restriction on carrying weapons in certain animal care and use areas. Redirects to policies listed by IACUC.